KARACHI: Human rights are important today because we have forgotten its very definition, said human rights lawyer Asma Jahangir on Saturday. The very people who stand up against violence, resort to violence as a tool to power, she said at the launch of a mid-term assessment report on Pakistan Universal Periodic Review at Karachi Press Club. “There should be accountability of the government as to what is being done about human rights in Pakistan,” she added. The Universal Periodic Review (UPR) is a procedure of the UN General Assembly that evaluates the human rights record of UN member states every four to five years. In the 2012 UPR, Pakistan received 167 recommendations, out of which 126 were accepted, 34 were noted and seven were rejected. 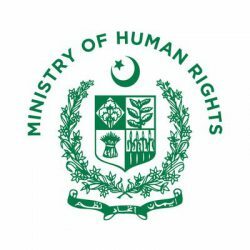 Human Rights Commission of Pakistan (HRCP) has conducted a midterm assessment of the government’s performance in implementing the rights of women, children, ensuring freedom of thought, conscience and speech, and with regards to enforced and involuntary disappearances. 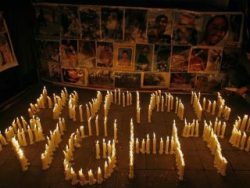 Violence against women has continued at the same rate since 2012, stated the report, adding that 923 women were killed in the name of honour in the year 2014 alone. The report estimated that 1.2 to 1.5 million children live on the streets. Despite laws, no province other than Punjab has established facilities to accommodate children taken off the streets. The HRCP report recorded 300 new enforced disappearances in 48 selected districts between September 2013 and April 2015. Out of these, more than 30 cases belong to rural Sindh, which according to HRCP, is a new development and a major concern. As far as the minorities are concerned, the promise of five-per-cent quota in public sector jobs and protection against violence still remain a question mark.